About a year ago, I watched a video on Bernadette Jiwa’s The Story of Telling blog with Tina Roth Eisenburg. Tina is known as @swissmiss, the founder of Creative Mornings, and the super cool temporary tattoo company Tattly. The gist of her story: Tattly started by accident, a challenge to herself to create better tattoos than the crappy ones her daughter got from a birthday party. That story’s coolness factor really struck a chord and I’ve been kind of obsessed with companies who support side projects ever since. Even though side projects are a kind of startup darling, don’t let that distract you from their power. They reveal the special stuff about you that attracts your best customers, most ardent fans, and most talented employees to your side. If you’re an individual with a burning idea or an employee with company-sponsored creativity time, how can you weave these stories into the fabric of your story? Here are some ideas. Listing side projects prominently on your web site gives a sneak peak at your company culture and shows what you value. If you are a freelancer or independent artist, links to your side projects will tell your clients what you like. Is it gumption, enthusiasm, curiosity? Are you a creative soul at heart? By sharing this with the world you send a message that you won’t settle for anything less in a client or workplace. 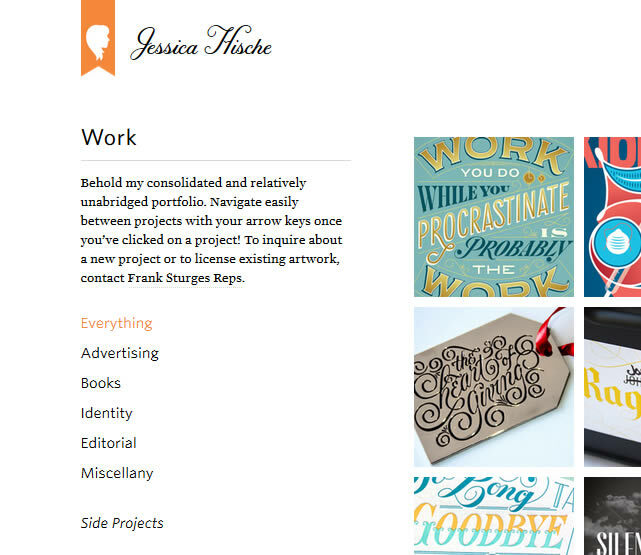 One of my favourite examples of this is the website of Jessica Hische, letterer and illustrator. She highlights her side projects and lets you in on her creative process. If you’re looking for a talented designer, isn’t this exactly the inside info you’d want to know? In the places where you talk about your story, sharing your passions can reveal the best parts of you. Like attracts like, whether customers or potential employees. Hold it…but what if your side project has really nothing to do with your business? In order for side projects to truly succeed, they have to be stupid. If your side project is a middle grade novel about a girl trapped in a jungle city, and your career is content strategy, business storytelling and technical writing (that’s mine), then take what’s creative and fun about writing novels and pour it into words for companies with new technologies. If the skills don’t translate directly, then consider the shift in perspective as the valuable piece. Paraval, a three-man web dev shop in Austin Texas does this on their sleek and airy About page, devoting a large section to projects, including The Many Faces Of. You have to check it out to really get it, but these guys love movies. So they take their fave actors and create illustrated memoir of their careers. This is where opening up about the work that fuels the soul really benefits you. Even if you’re a solo consultant or a small 1 to 5-person shop, passion projects will attract better employees, those who share your values, hobbies and enthusiasms. Crew founder Mikael Cho wrote that most of the people who apply at Crew came to them via investigating their side projects. Creative people are naturally curious and they went know what’s under the hood. On their How We Work page, Crew talks about wanting talented people who tinker. We love people who try things, who tinker. If you’ve got ideas that would be useful for our members, we won’t hold you back. Instead, we’ll help provide the resources to make it happen. We will give oxygen to your ideas. Scroll down to the footer and you’ll see links to all of Crew’s experiments, among them Unsplash and Moodboard. 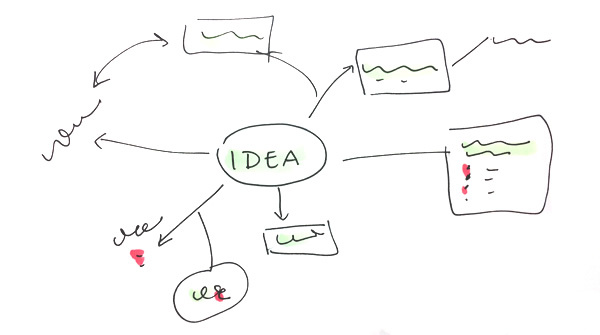 Have you wrapped side projects successfully into your brand or company story? Do you want to talk about passion projects but don’t know quite how they fit in the bigger picture? Are you using any story sharing tactics I left out? Let’s continue the discussion. I’d love to hear your thoughts.